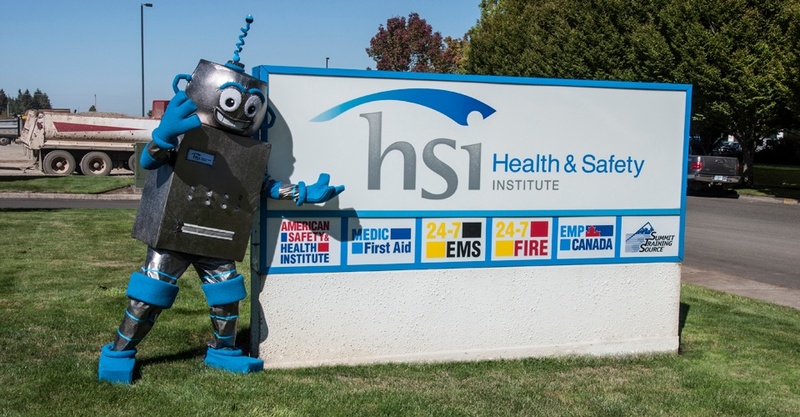 Our ASHI and MEDIC First Aid programs aren’t the only things we’ve been updating here at HSI. Check out the new and improved Bot! We had a chance to sit down with our number one supporter of Better Online Tools (BOT) and here’s what he had to say. HSI: That’s quite a fancy new mainframe you have there, Bot. Bot: Well, with all the new programs coming out and Spark 2016, the HSI International Conference in Phoenix next month, it was the perfect time to give me a makeover as well. HSI: What’s your favorite part about your new look? Bot: My bigger eyes, so I can see everyone better when I’m at the Pointe Hilton Squaw Peak Resort for Spark from October 24-26, 2016. HSI: You’re going to the conference? Bot: Oh, yes! As the ambassador for our better online tools, I want to be on hand to encourage our Training Center directors and instructors to sign up for an Otis 1:1 session so they’ll go back home knowing how to do more and do it more efficiently in Otis. HSI: We haven’t seen you dance in an HSI video lately. What’s up with that? Bot: I’ve been much too busy in the warehouse processing the G2015 program orders and clearing the shelves of the G2010 stuff. You know we’re all out of the G2010 stuff, right? HSI: Yes, and we’ve been communicating with our customers about that to be sure they have what they need for all their classes. But, seriously, they want to see you dance! Bot: Trust me, I’ve got some killer new moves up my silver sleeves. I might have to bust some out at the Exhibitor’s Party at Spark on Tuesday, October 25 at 5:30 in the Tombstone area of the conference hotel. HSI: We’ll look forward to that! So what’s next for Bot, once the conference is done and everyone is updated to the new G2015 requirements by the end of this year? Bot: You should tell your readers that the I.T. team and I are working on some really cool new stuff for LOOP, our CPR skills game. Talk about making you want to dance! HSI: And what about your popular Bot Bucks program? Bot: That’s still going strong! Customers can earn “bucks” for completing tasks in Otis and for using some of our better online tools, and then spend their accrued bucks on ASHI and MEDIC First Aid-produced materials during one of our redemption periods. There’s only one of those left this year, so they should be accruing all the bucks they can now. HSI: We’ll have to update that old photo of you on the Bot Bucks webpage. Bot: Yes, please do! Do you think that old suit makes me look fat?…. Bot will be on hand at Spark 2016, the HSI International Conference in Phoenix, October 24-26, 2016. Be sure to say “hello” and grab a photo or two!